Ken Pearson joined the NWRPC staff in June as our new Business Development Specialist/Loan Fund Manager. We are excited to have him as an addition to the NWRPC team! What qualifications and/or work experience do you have that pertain to your position at NWRPC? I have been involved with small business and economic development since 2013. During this time I have helped more than 80 businesses start up, expand or grow through my ability to help business owners and entrepreneurs map out a road to success though mission focused business planning, marketing strategy and strategic visioning. Many of these 80 businesses were able to bootstrap their operation through available equity or assets that they had accumulated toward their launch or gained through appropriate scaling. Of those that needed outside investment, private injections or traditional financing, I was able to help these businesses secure over $4.06 million in funding through developing an entrepreneur strategy on how to approach a lender or investor based upon the owner’s strengths. I am a high school graduate from Northwestern (Maple) High School, and earned my bachelor’s degree from UW-Superior. I left the state for a few years to receive a masters of public administration degree from Texas A&M University, and brought the knowledge earned back with me to Wisconsin. I bring a vast working knowledge of strategy and development for private and nonprofit organizations as I have held a variety of positions including a volunteer and corporate recruiter, human resources representative, nonprofit board member, and a media advertising and sales representative. What attracted you to want to work with this organization? I have a strong passion to see Northwest Wisconsin business owners achieve success through strategic goal setting and obtaining the public resources necessary to maintain these goals. Northwest Regional Planning Commission is all about delivering a strong economic impact for the citizens of Northwest Wisconsin, and I am more than thrilled to join a group that makes a big difference in an area where I grew up. 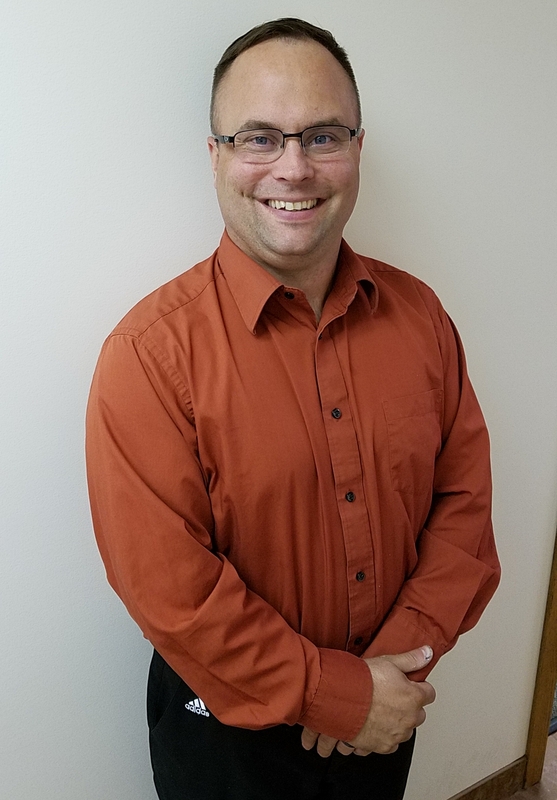 Having developed a strong passion for economic growth in Northwest Wisconsin can be tracked back a young age where he learned a lot about small business ownership trials and tribulations from his father who was a self-employed logger in the great Wisconsin Northwood’s. Knowing that I can assist business owners, similar to my father and other entrepreneurial individuals I grew up with and around, is a strong reason why I chose to work for NWRPC. What are you most proud of accomplishing in the past few years? Aside from becoming a father for the first time to a now feisty 3 year old boy, my proudest accomplishment has been the ability to use my knowledge, skills and abilities to see entrepreneurs achieve their purpose and passion through business ownership. From the first concept to the loan close and beyond, it’s truly an honor to serve such willing, courageous and skilled individuals. My greatest projects that I have worked on included a $750,000 plus day care center project that was built from the ground up; helping a struggling single mom start a cleaning company from herself and a part time employee into a competitive small business of 30 employees after one year; guiding a cosmetologist to get a small family investment into her business of and watching her achieve her goal of owning her own suite style salon, and three years later reaching full capacity of rooms and showing strong profits; and helping a 30 year restauranteur in a very rural part of Northern Wisconsin receive a traditional bank loan to launch a soon-to-be local favorite and hot spot for breakfast and lunch are among my proudest accomplishing moments in the economic development realm. I jokingly tell people my biggest hobby is driving since we cover a 10 county region and I live in the Chippewa Valley and drive to Spooner every day, but I am very fortunate to have such a position that I am passionate about that the drive is worth it. When I’m not exploring the great Northwest 10, I am a certified (of 10 years) high school sports official where I concentrate in Football. I played sports in high school and have a deep love for football, and this is one way I can give back to a sport that gave me so much and help the next generation live out their abilities every Friday night in the Fall. I also enjoy woodworking, hunting, and chasing my 3 year old son.